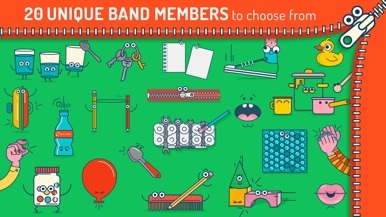 Smoother experience for all the homemade musicians out there. Have fun and remember to play in real life! If your toddler enjoys the app please leave us a review on the App Store. 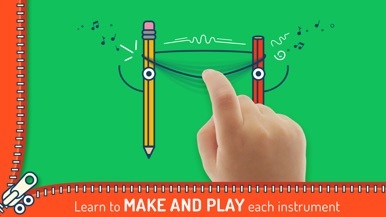 "Colourful and fun, easy to use for little fingers"
Playing a musical instrument is fun, but creating your own is a major bonus! 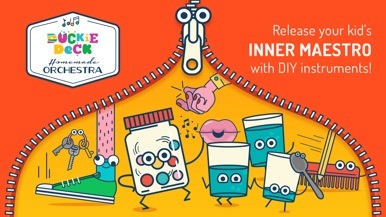 Release your kid’s inner maestro with Homemade Orchestra, where they can customize and play an array of musical instruments made from everyday objects. Whether it’s a rattle made with dried peas or a steel pot drum set, there’s no limit to the different sounds you can achieve. 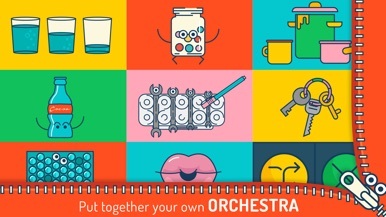 Homemade Orchestra has two contexts for a youngster to experience. There’s Explore mode, where you can customize and adjust homemade instruments to fine-tune their sound. 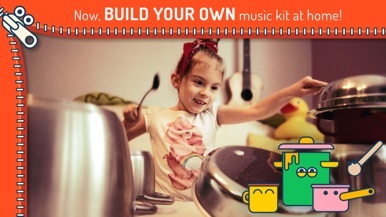 Or dive straight into Play mode, where you can combine a variety of instruments to play a song. Don’t be surprised when the instruments come alive, it’s just an effect of the music! At Duckie Deck we create smiles. Our biggest goal is to support healthy and well-rounded development in the youngest technology users, while also creating opportunities for learning and play to extend beyond the virtual world. Toddlers and preschoolers across the world are playing our educational games and growing happier by the minute. We cover some of the most essential points needed to form healthy personal and social habits – like brushing your teeth, sharing with others and caring for the environment. Come smile with us! Learn Cantonese language by audio with Fast - Speak Cantonese app. This sticker pack is full of fire truck stickers for you to add to your sticker collection.